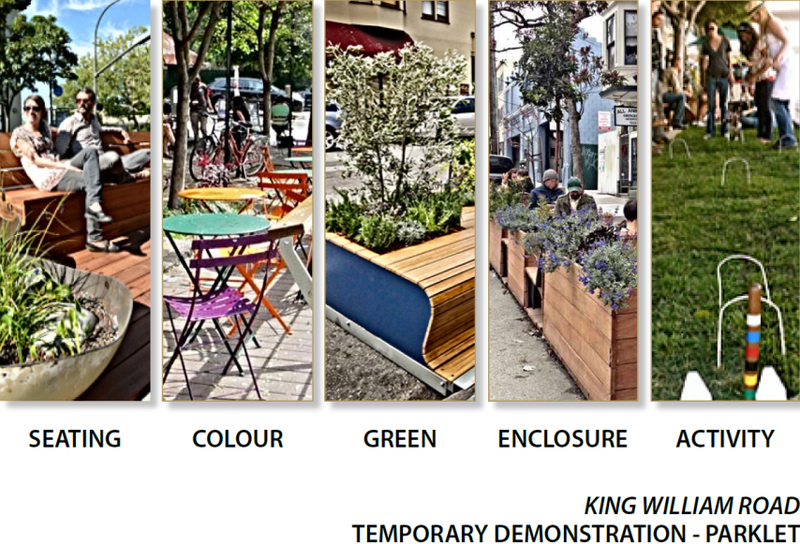 This week Council will be setting up a parklet in the King William Rd (near Doran's). It will be there to enjoy the autumn sunshine until the end of the week. Staff will be available to ask your opinion about KWR on various topics.